There's no city in the world quite like Nashville. Located in Davidson County in the central part of Tennessee, the city of Nashville is in the top 30 biggest cities in the United States with an estimated population of around 700,000 people, with over 1.9 million in the full Nashville metropolitan area. Nicknamed Music City, Nashville is often the first place people think of and associate with the country music scene. The city has historically played a significant role in the development of country music, being the home to many iconic stars of the scene over the years, as well as important locations like the Country Music Hall of Fame and Museum, as well as the Grand Ole Opry. As well as its associations and key locations for key music. 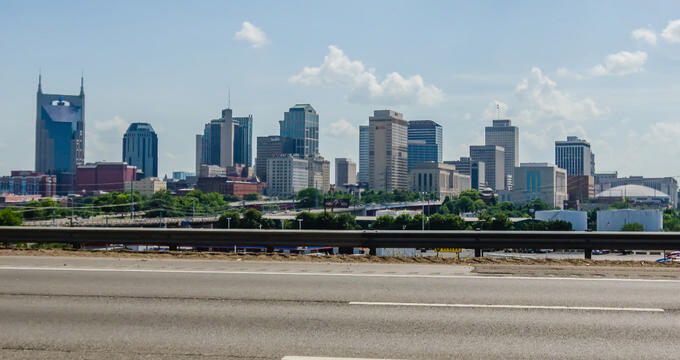 Nashville is a great city to visit for many other reasons, home ot a lot of beautiful buildings, historic sites, and more including the Tennessee State Capitol, First Tennessee Park, the Parthenon, and Bridgestone Arena. If you’d like to see all of these landmarks and more on your trip to Nashville, consider hopping on board a Nashville trolley tour. Old Town Trolley Tours is the big trolley tour operator in Nashville. First founded in Key West, Florida, back in the 1970s, Old Town Trolley Tours is one of the leading operators of trolley tours all around the United States and runs tours in many major cities. These tours are fairly priced and feature a lot of unique advantages like discounted admission or even free entry to certain attractions around museums. There are multiple tour types to choose from in Nashville and all tickets can either be purchased on the day of your trolley tour or online in advance. Read on to learn all about the trolley tours of Nashville from Old Town Trolley Tours. The Hop On Hop Off Old Town Trolley Tours are the standard option when it comes to riding on a trolley tour of Nashville with this company. As the name of these trolley tours indicates, riders are able to hop on and off as they please at the various stops around the city of Nashville, and the best part of all is that you don't need to worry about having to buy another ticket or pay any kind of additional fee to hop back on the trolley after leaving it. Each ticket is valid for a full day of unlimited travel. These Nashville trolley tours run on a daily basis all year long, but the hours can vary depending on the time of the year. From November through to February, tours run from 9 am until 4 pm, whereas the hours are extended to 5 pm from March through to October. The full trolley tour loop takes an hour and forty minutes in total, and trolleys leave every half hour. Tickets can be purchased from the Main Ticket Booth at 201 Broadway. All of these trolley tours are fully narrated to help you learn more about the history of Nashville and the various landmarks and locations you'll see along the way, and if you ride the trolley for its full journey, you'll pass by over 100 unique points of interest! These trolley tours make 15 stops in total and pass close by nearly all of Nashville's biggest and most popular attractions, so this is definitely one of the best options for people who want to see the whole city and not miss out on a single thing. The Soul of Music City is another great trolley tour option for people in the beautiful country music city of Nashville. These tours only run in the evenings and run for two hours in total. The tours leave at 7 pm on Sundays through to Thursdays, with two tours running on Fridays and Saturdays at 7 pm and 7.45 pm. These trolley tours are for people aged 18 and above only and will take you on a real music themed tour of Music City, focusing on the various musical landmarks and historical sites around Nashville like the Ryman Auditorium, the Country Music Hall of Fame, Historic Jefferson Street, Music Row, and more. You'll hear all sorts of fun and fascinating stories along the way and will even be able to enjoy a free drink at a live music bar along the way.